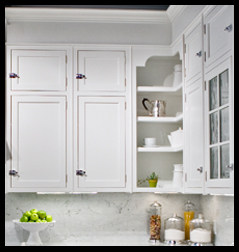 Look no further than Atlantic Design Center when you are ready to upgrade or buy your first set of appliances. We carry Wolf, the cooking specialist, and Sub-Zero, the food preservation specialist. 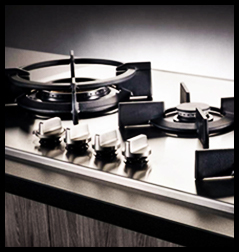 Both brands are built in the USA with eco-friendly materials and methods, bringing uncompromising performance and craftsmanship to your appliances. Make your bathroom more of a retreat than a simple functional room. 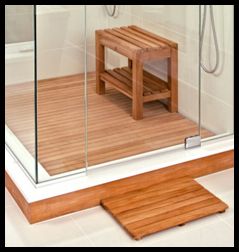 At Atlantic Design Center we can help you bring out the ‘spa’ in your bathroom with teak benches and mats, warming towel racks, sconces, mirrors and more. Come visit our showroom for inspiration. Whether you’re shopping for cabinets for your kitchen, bathroom, mudroom or other room in your home, let our designers help you find just the right style and functions to best fit your space and your specific needs. 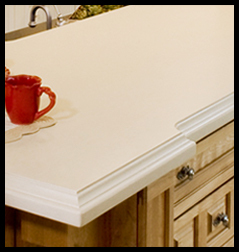 You’ll be amazed at the wide selection of materials and styles available for countertops for your kitchen, bathroom, wet bar and more. Whether you’re interested in eco-friendly or the grandeur of Italian marble, our designers can help you find the perfect statement piece. We usually don’t think much of the pulls and knobs which allow us to open the drawers and cabinet doors in our homes, but these little “after thoughts” can transform a room from ordinary to extraordinary. They are the jewelry of your home. Explore the many options we offer and make your room unique. 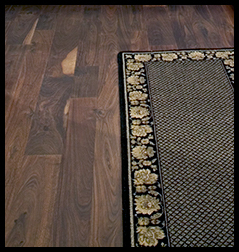 The flooring in your home is one of the primary design decisions to make. 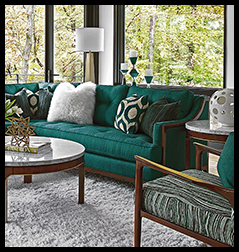 Whether you want the modern elegance of wood floors, the warm comfort of carpeting or newer products like wood-grain tile, our designers can guide you to the right material, size and color to fit each room’s style. Add personal style and ambiance to your space by accessorizing with pillows, lamps, baskets, trays, botanicals and much more. At Atlantic Design Center you can find all the latest trends in accessories. We pride ourselves in finding unique pieces at major shows throughout the United States and currently buy from over 100 sources. Please make sure you check in with us frequently. Our displays are constantly changing. 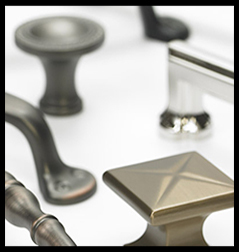 Whether you’re shopping for your bathroom, laundry or kitchen, you’ll find a wide array of choices in sinks, faucets, shower heads and other fixtures to add function, style and beauty to your home. 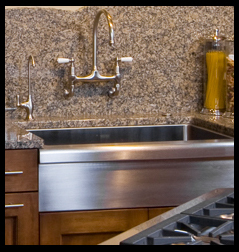 We carry all the top name brands so you’ll be assured of the best quality for your plumbing needs. Tile has become an exciting way to express yourself and we bring you an unlimited selection. 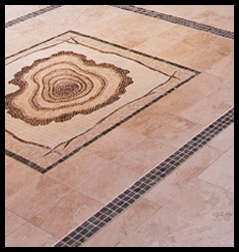 There are myriads of styles, shapes and materials to choose from in natural stone, concrete, porcelain and ceramic. From “Morrocan” to Modern your choices are endless. Explore some of the incredible options available from our extensive list of brands from all over the world and find your unique style.